Si and zhu originally were string instruments (like qin and se) and bamboo instruments (like di). 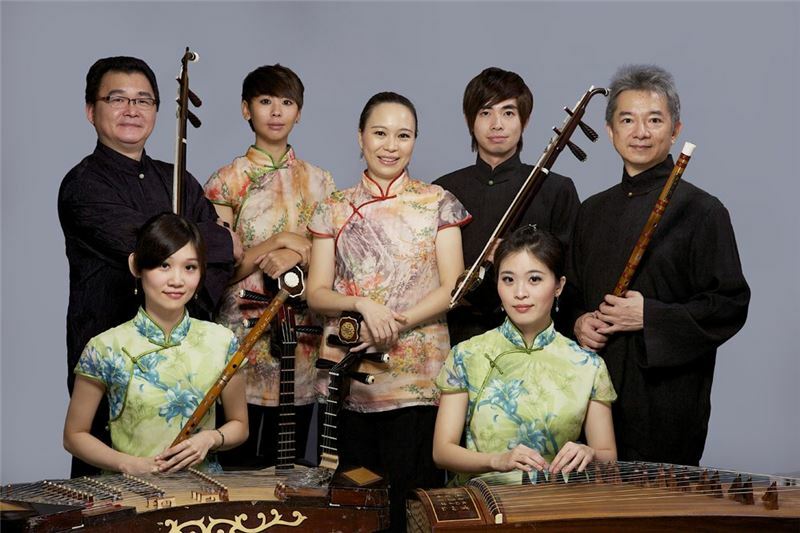 In contemporary usage, sizhu refers to a form of music mainly featuring string and bamboo instruments. Sizhu is not just wind and percussion. It features mainly string instruments and wind instruments, the tone color of which does not overwhelm. In a symphonic orchestra, the instruments do not play in synchrony or simultaneously. A main instrument leads each tune and each instrument follows a particular score. The form of orchestra is prevalent in many places, though regional differences resulted in different designations, such as Yangxisizhu, Hanjiangsizhu, or Guangdong xiaoqu. Parading in the Street is one of the more representative tunes of the JiangnanSizhu Music, which is also known as Parading in the Street with Four Medleys. The so-called 「parading in the street」 refers to a form of walking and playing at the same time, usually seen in wedding processions and/or temple fair parades. The medleys are comprised of several tunes in a single set, starting from lento with fine and smooth rhythms, marching gradually to allegro in an excited and joyous tempo, and culminating with a climax.